Elon Musk SLAMMED by top researchers for scaremongering over dangers of AI. Earlier this week, the South African-born billionaire said that authorities need to regulate AI now, before it is too late. Speaking at the 2017 National Governors Association Summer Meeting, Mr Musk, who is involved in space exploration firm SpaceX and revolutionary car company Tesla, said that AI is the "biggest risk we face as a civilisation”. He said: "Until people see robots going down the street killing people, they don't know how to react because it seems so ethereal. "AI is a rare case where I think we need to be proactive in regulation instead of reactive. However, top AI researchers have slammed Mr Musk’s comments, accusing him of trying to scare the public. Arizona State University computer scientist Subbarao Kambhampati told Inverse: “While there needs to be an open discussion about the societal impacts of AI technology, much of Mr Musk’s oft-repeated concerns seem to focus on the rather far-fetched super-intelligence take-over scenarios. University of Washington in Seattle researcher Pedro Domingos was less articulate in his response to Mr Musk, simply tweeting: “One word: Sigh”. Photo published for Elon Musk just told a group of America’s governors that we need to regulate AI before it’s too late. Elon Musk just told a group of America’s governors that we need to regulate AI before it’s too late. Musk is terrified of an AI takeover. However, Mr Musk is not the only high-profile expert to warn about the dangers of AI. 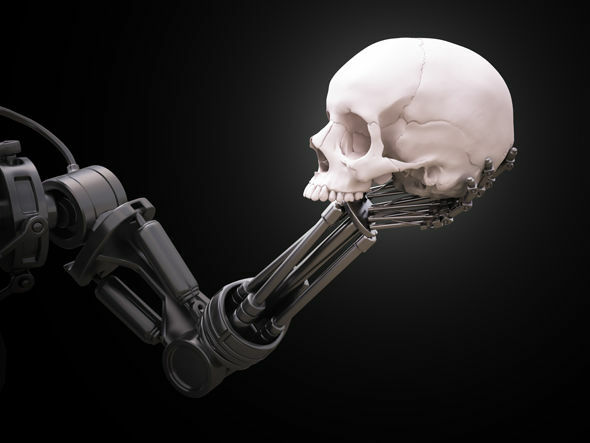 Professor Stephen Hawking has also been an outspoken critic and has previously said: "The development of full artificial intelligence could spell the end of the human race."